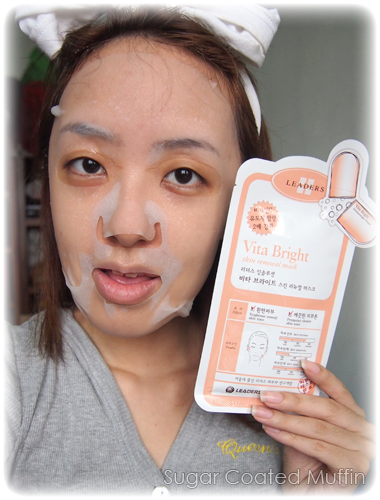 Sugar Coated Muffin x CathyJoy Mask Giveaway! Thanks to CathyJoy for sending these over to me. 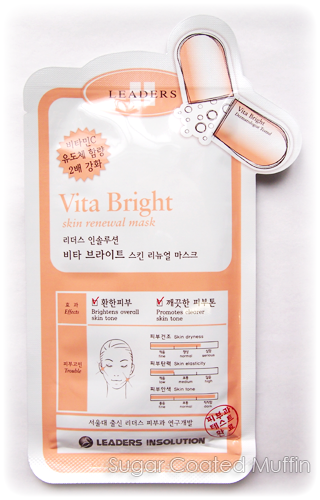 The Vita Bright mask targets skin dryness and brightens skin which are two of my main skin concerns. The one from CathyJoy doesn't have English translation but I got this from the previous ones I got from Golly Locks. 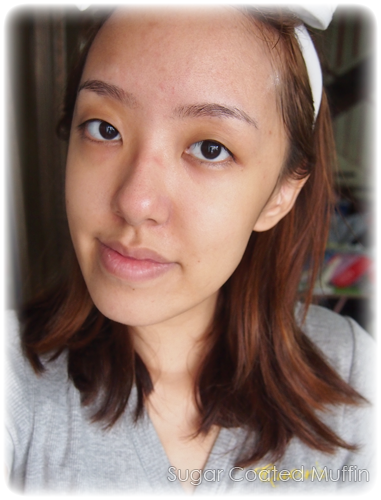 As I've mentioned before, these masks cover the undereyes as well. 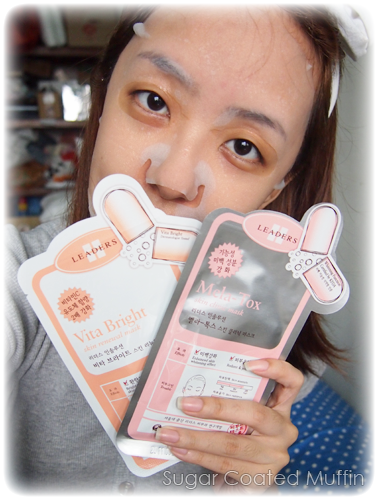 Don't have to buy separate eye masks! The fabric-like sheet holds essence well, remaining moist for more than 15 minutes. 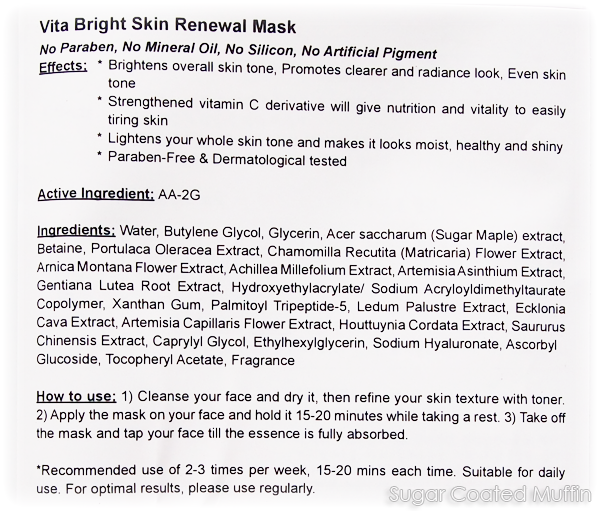 It also adheres well to skin. Skin always feels hydrated after. It will still be quite moist with essence so I massage it in for a bit then rinse off the remainder. 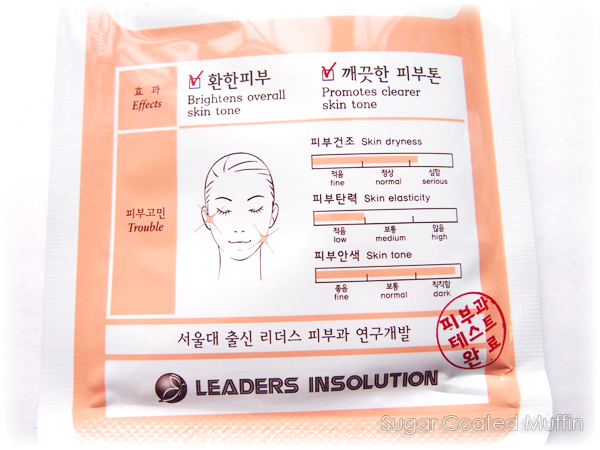 If you're interested in purchasing Leaders InSolution masks, here's a discount code that's valid til 31st of May 2013! 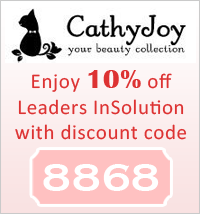 ** Product was provided by CathyJoy. However, this has not affected my thoughts on the product in any way.